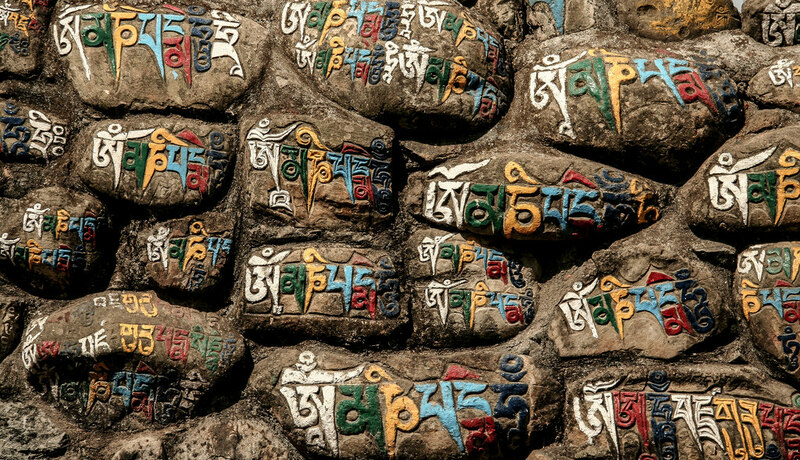 Imagine carving a mantra onto a stone: the care, time, patience, strength, and dedication that it would take. Now imagine carving many stone with the same mantra. Each being done while repeating the mantra prayerfully, intentionally. Then imagine painting each letter with a particular color because doing so and the color carried energy and meaning. In Tibet, people have been doing this for hundreds of years. These stones are called Mani Stones, and the mantra is OM Mani Padme Hum. This week, the Intermediate meditators hold the meaning of the mantra – gathered and meditated with for two weeks – in their wholeness while using the mantra. You are invited to join us. * You are also invited to donate to Spirit Fire for the meditations that you have received throughout the year. All have been instructional and, I hope, some have been inspiring. Spirit Fire is a non-profit educational organization and your donations help keep the flow of meditations coming. Click here. Thank you!